Professor Nick Klomp is the Deputy Vice-Chancellor (Academic) at the University of Canberra, responsible for academic policy, teaching and learning quality and enhancement, and student support and equity. Currently he is leading a curriculum renewal program that addresses the challenge of preparing graduates for a very different future workforce. Professor Klomp has a Bachelor of Applied Science degree from Curtin University, First Class Honours from Murdoch University and a PhD in ecology from Glasgow University. 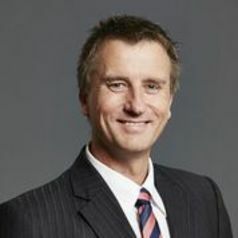 Prior to his appointment as Deputy Vice-Chancellor, Professor Klomp was the Dean of the Faculty of Science at Charles Sturt University, leading one of the most diverse science faculties in Australia with around 9000 students and hundreds of staff in seven schools across six campuses, and with disciplines ranging from Veterinary Science to Dentistry, Nursing to Environmental Science, Forensic Biotechnology to Wine Science, Agriculture to Allied Health and much more. Under his leadership the Faculty enjoyed enormous growth in its research and teaching programs, underpinned by multi-million dollar grants and many new collaborations with government, industry and education providers. Professor Klomp has won the Vice-Chancellor's Award for Teaching Excellence, was a weekly Science Correspondent for ABC radio for more than eleven years, and has thrice been nominated for the Eureka Prize for the Promotion of Science. In addition to his extensive teaching career, Professor Klomp is recognised internationally for his research in applied ecology and environmental science, having authored two books and 57 refereed publications, successfully supervised more than a dozen doctoral students, and attracted several large nationally-competitive grants.